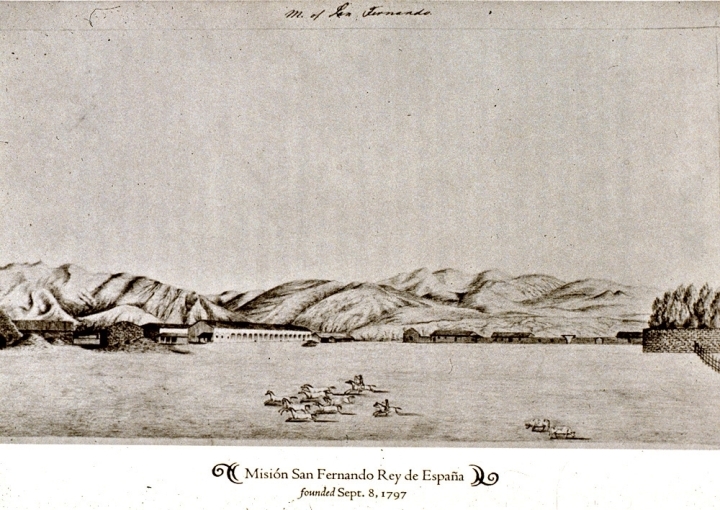 Tataviam Indians from the Santa Clarita Valley, along with Kitanemuks of the Antelope Valley and Fernandeños and Gabrielinos of the San Fernando Valley were rounded up by Spanish missionaries and brought to Mission San Fernando Rey de España after its founding on Sept. 8, 1797. By 1803 most Tataviam villages in the Santa Clarita Valley were gone, although some Tataviam arrived at the mission as late as 1811. Indians were put to work on the mission lands (basically all lands were now mission lands), and members of the different tribes intermarried to the point where there were no full-blooded Tataviam Indians after 1921.